Friends are the biggest influence in our lives, even more than family. She has potential but her choice of friendship groups is questionable…. And it is important to realise this if you want to make your life better – because essentially, you are, who your friends are. If your friends are drug addicts, then you’re probably a druggie. If your friends rob people, then you’re probably a criminal. And if your friends are directionless losers, then guess what you are? Friends can be role models, inspirations and leaders who drive us to be better people. If they take part in a lot of sport, then you’re probably an athlete. If they are top of the class, you’re probably with them or not far behind. If your friends have hopes, dreams and ambitions. Then you probably are striving to improve your life too. Bad Friends – What is the solution? If your friends are so bad, it is better to lose them. It is much harder to quit drugs if you are hanging around a user. Another alternative without totally severing the friendship is to distance yourself, move to a new town, get another job, make new friend networks or get a new hobby. That way time is limited and you can focus on bettering yourself – no more mornings spent watching cartoons smoking weed. Sometimes bad friends are unaware of how bad they are being. One friend of mine was negative all the time. In conversation I mentioned that he was a downer and this impacted people’s perception of him. I don’t know if he took it on board or will ever change, but it felt good to get it out. Some friends do have things they want to do. They just do not know where to start – support them, advise them, be a mentor to them or get them involved in your own self-improvement goals. One of the most satisfying things for me is helping a friend to make a better life for themselves. Note that the key is to ‘direct’ and not tell them what you do, that will just create frustration all round. If they are resistant to being led or just don’t listen after persistent attempts, perhaps it is time to accept you have grown apart and ditch them or create distance from them instead. But they are my friends, I can’t do that? I understand how difficult it is to be assertive. 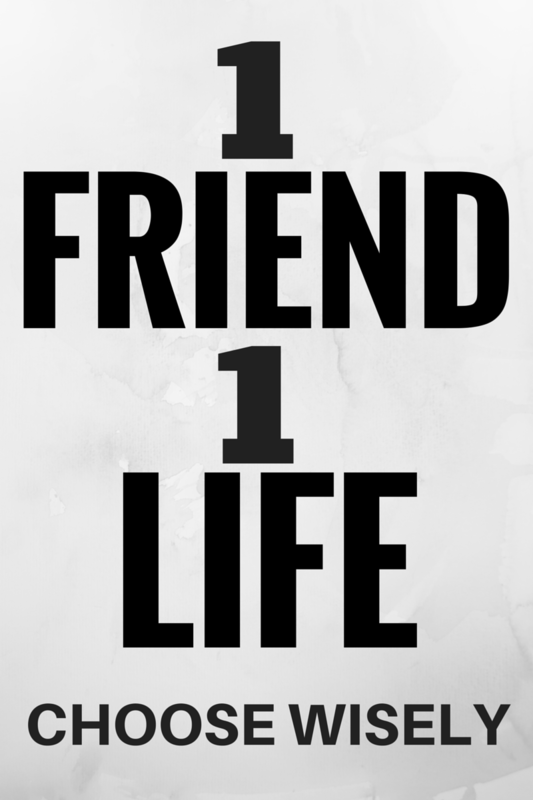 Remember: There are many people who could be a friend but you only have the opportunity for one life. All our time is limited, we have to put ourselves first and focus on what we want to achieve. If your friends don’t like the fact you are doing everything you can do live a better life. Then it is time to move on. “The less you associate with some people, the more your life will improve.